So much going on this month, I had to do a separate post today!! Super excited! 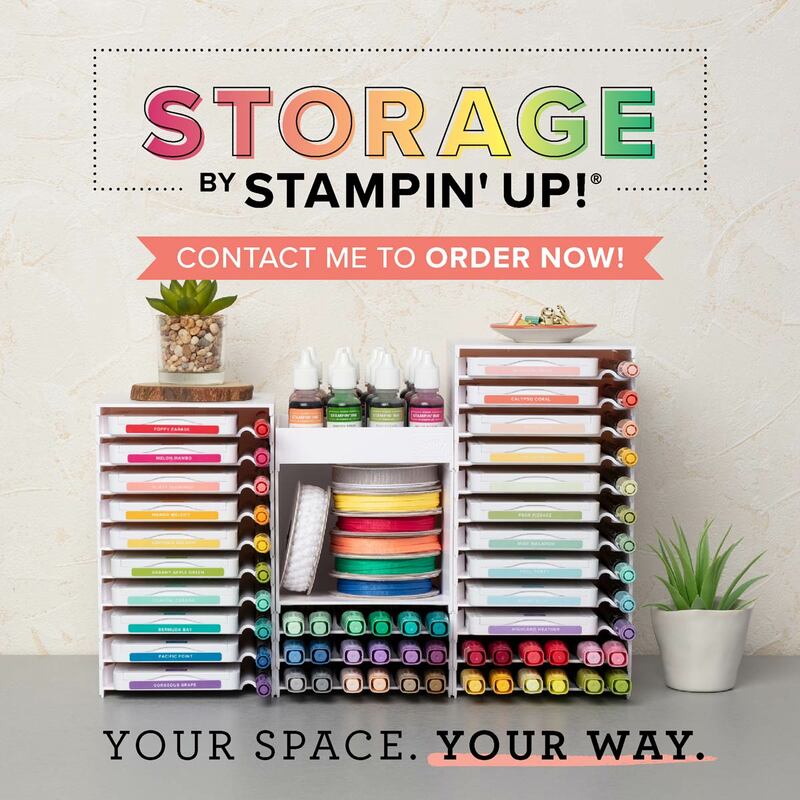 Are you someone who needs to organize their craft room like I do? I love to be organized! 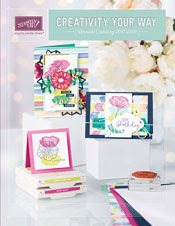 It helps me to stay focused on my projects, not dread going in my craft room. There are so many benefits to keeping a neat and organized room. Here are a few, It reduces stress, saves you money because your not buying things you already have, gives you more time for yourself, because you are working more efficiently. This was my goal for 2019. I have to say, I have work to do, but I'm on my way. 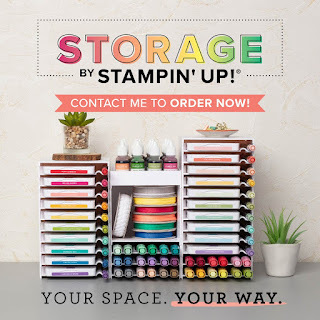 All this being said is why I have so much excitement for the New Stampin'Up Storage. I will be able to have my ink pads right in front of me and easily accessible. Look at these!! Starting Today, I'm starting the AMORE REWARDS PROGRAM. This is to benefit my Customers, especially my loyal customers. 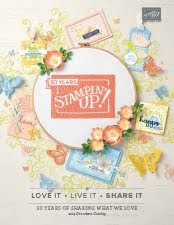 For every $25.00 you spend , you will get a Punch, when you complete 20 punches, you will be able to choose any stamp set or framelits for 39.95 or less from any catalog. You are responsible for keeping track of your own punches. I will review them at the end of your 20 punches. Download the TRACKER HERE! You can click on the AMORE REWARDS TAB above and download the points tracker and please read all the rules . I appreciate you all and hope you take advantage of the new rewards program. IF YOU USE THE HOSTESS CODE, YOU ARE NOT ELIGIBLE FOR THE AMORE REWARDS!